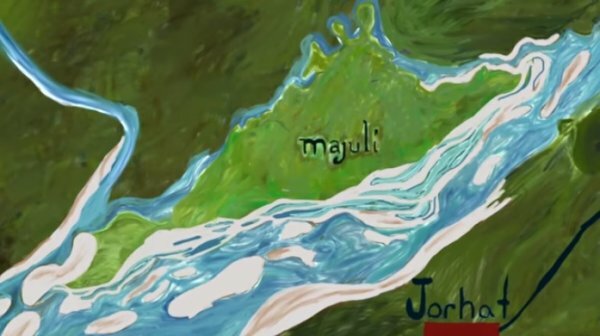 Jadav Payeng has spent the majority of his life working to restore trees on Majuli island in India and has single-handedly created a forest that is now larger than New York’s Central Park. Since sometime in 1979, when he was just 16-years-old Payeng began planting one tree every single day in a barren section of the island. The forests have attracted a diverse ecosystem of animals who have now made the area their home, including elephants, rhinos, deer, wild boars, vultures, reptiles, and even Royal Bengal tigers. 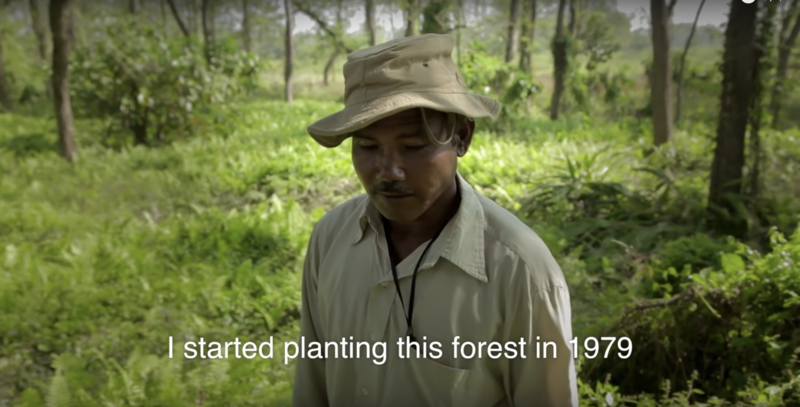 Payeng silently built this forest over many years with no thought of fame or fortune, and his efforts went largely unnoticed the world for most of his life. However, in 2007 a photo-journalist and wildlife researcher named Jitu Kalita discovered Payeng and learned about his story during an unrelated trip to the island. “Humans consume everything until there is nothing left. Nothing is safe from humans, not even tigers or elephants. I tell people, cutting those trees will get you nothing. 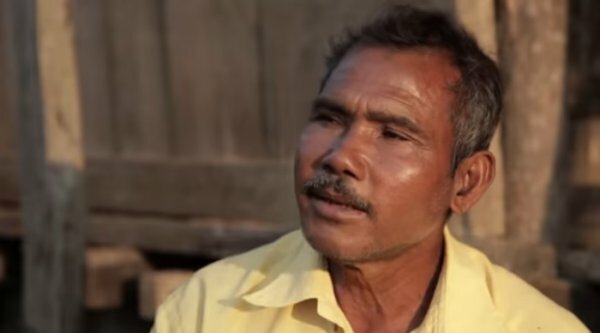 Cut me before you cut my trees,” Payeng says. “Things are different in concrete forests. Those people sit in air conditioned rooms unmindful of the pollution created outside. People are fighting with each other, people here don’t fight. They do their work, eat their food, breath oxygen and live in peace,” he added. Although Payeng is a shining example of how one person can truly make a difference, he says that nature must take some of the credit as well. “It’s not as if I did it alone. You plant one or two trees, and they have to seed. And once they seed, the wind knows how to plant them, the birds here know how to sow them, cows know, elephants know, even the Brahmaputra river knows. The entire ecosystem knows,” Payeng says. According to Wikipedia, There are several thousand trees, including valcol, arjun (Terminalia arjuna), Pride of India (Lagerstroemia speciosa), royal poinciana (Delonix regia), silk trees (Albizia procera), moj (Archidendron bigeminum) and cotton trees (Bombax ceiba). Bamboo covers an area of over 300 hectares.
? Just One Elephant Remains In The Knysna Forest What Is Toxic Shame? 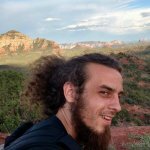 (The Little-Known Mental Illness) ?